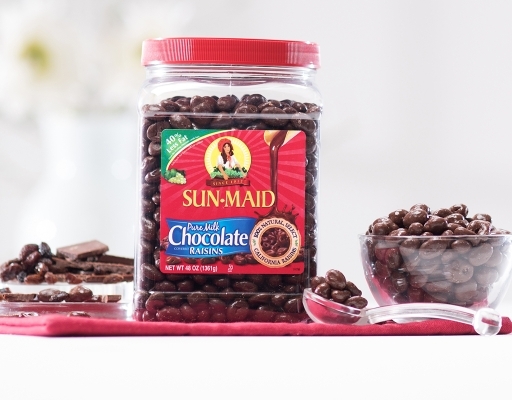 Since 1912, Sun-Maid has provided premium quality raisins and dried fruits from the farms of California to people across the world. 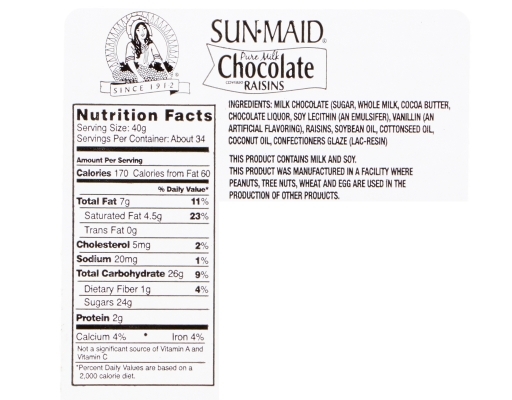 The indulgence of chocolate, the goodness of nature. 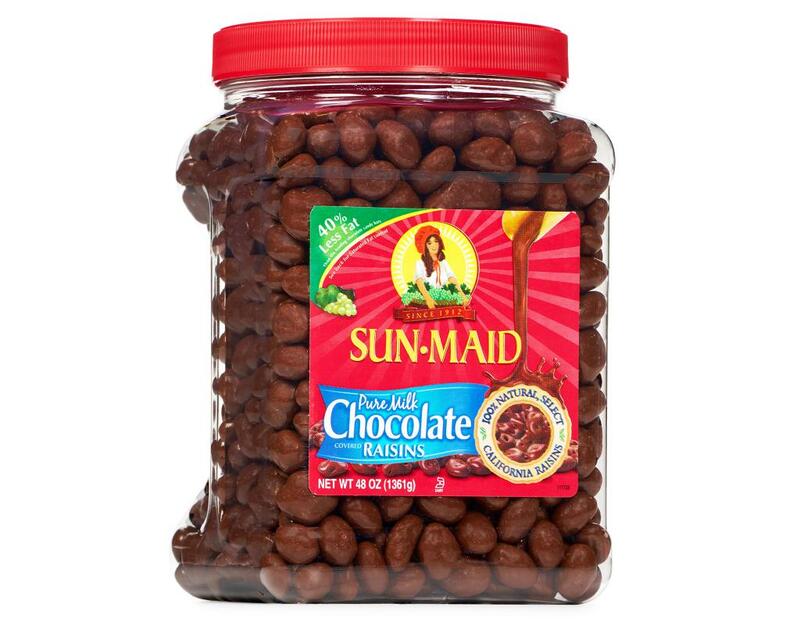 It’s only natural to fall in love with Sun-Maid milk chocolate covered raisins. 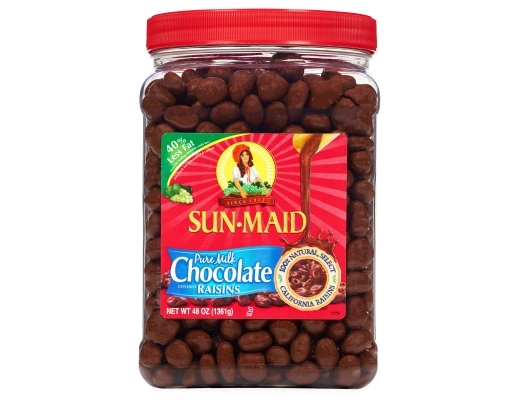 Sun-Maid uses the finest California Raisins drenched in pure, creamy milk chocolate. 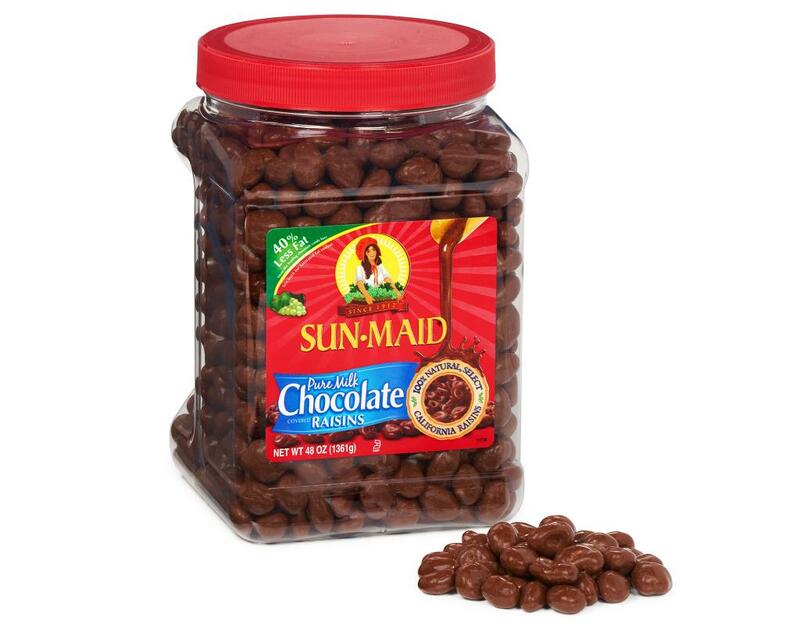 An indulgence you can feel good about. 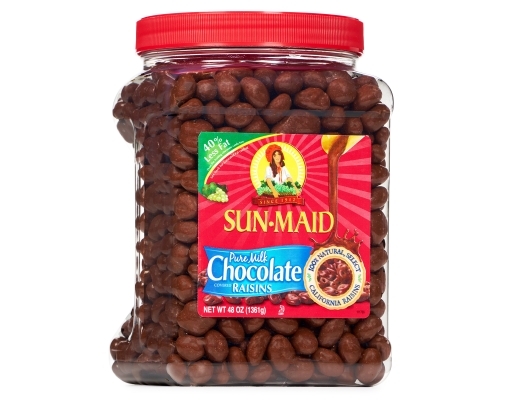 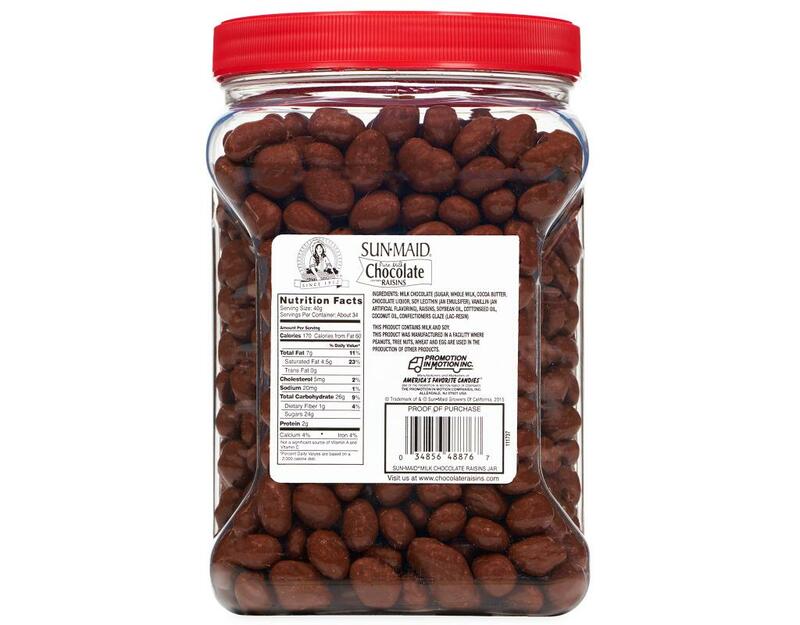 Sun-Maid milk chocolate raisins contain one whole serving of fruit in every delicious 1/2 cup. 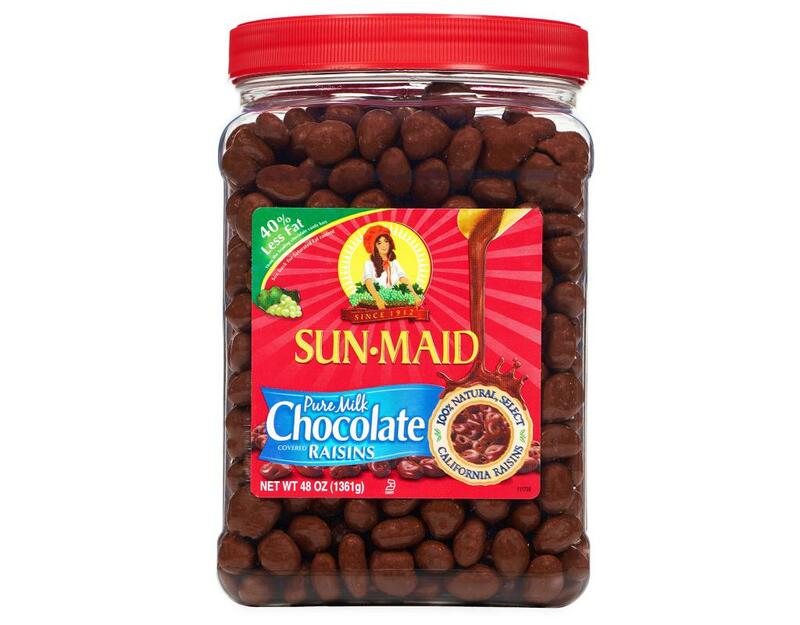 Sun-Maid drenches the finest, most plump and juicy California raisins with the purest, creamiest milk chocolate for a truly extraordinary experience. 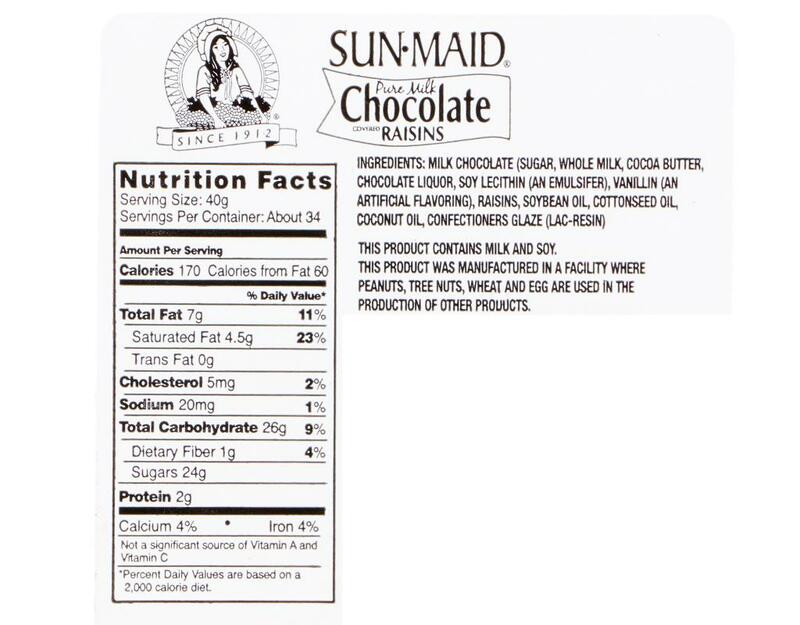 And you can feel good knowing that raisins rank among the top antioxidant foods and Sun-Maid Milk Chocolate Raisins contain 40% less fat than leading chocolate bars.